Subaru has announced a 23% year-on-year growth in UK sales in 2014 and an 8.6% increase in new car registrations in December - outperforming Britain’s buoyant new car market and helping the brand to increase market share. At the start of the year, Subaru UK has also announced its exciting new model plans for 2015 which include the launch of the new Outback in March and the all new Levorg sport wagon in the Autumn. The arrival of new Subaru models last year such as the new WRX STI and Impreza, as well as price cuts to existing models, contributed to the Brand’s growth in sales in 2014. Subaru’s range of SUVs and crossovers have also proven more popular over the last 12 months; the Forester remains the bestseller in the UK, with 1210 cars sold in 2014, a rise of 33% over 2013. Subaru UK expects this to increase in 2015 with the addition of the Forester Lineartronic diesel model to the range in April. Off the back of a more favourable exchange rates the new WRX STI went on sale in the UK with a £4,000 price cut over the previous model. Demand soon outstripped supply with Subaru UK having to import greater quantities than planned towards the end of the year. The rear-wheel drive BRZ SE sports car also received a £2,500 price reduction, making it far better value than nearest rivals, while the XV compact crossover also benefitted from a £2300 price reduction in 2013, with prices remaining frozen with the arrival of the updated MY2014 model. Further growth is expected in 2015 with the UK launch of the new models. The Outback will be the first car in Subaru’s line-up to be fitted with the brand’s unique EyeSight driver assist technology. The Outback will also feature all new exterior and interior designs, with particular emphasis placed on interior quality and the Outback’s infotainment systems. 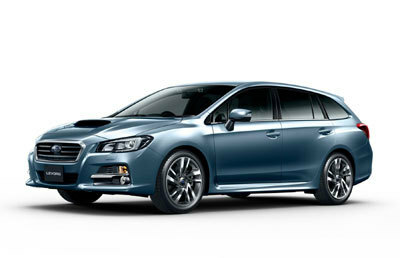 For more information about the Subaru line-up, visit subaru.co.uk.